Epinephrine is the most common drug used to resuscitate patients in cardiopulmonary arrest. EMS squads keep it on hand during every emergency run and hospitals contain it in their code carts. Epinephrine comes in a variety of strengths and dosing sizes but during cardiopulmonary resuscitation, the most commonly used size is the pre-filled 10 ml syringe containing 1 mg of epinephrine (1:10,000 concentration). This spring, a shortage of these epinephrine syringes occurred and now hospitals and EMS units are struggling to develop alternatives. Epinephrine has been used for more than a century. It was first extracted from adrenal glands by Napoleon Cybulski in 1895 and he called the extract “adrenalin”. The next year, the extract was used in eye surgeries. It was first synthesized in the laboratory in 1904. Like many drugs that were in use before the FDA was created in 1927, epinephrine was never formally approved by the FDA. But the FDA not only approves drugs, it also approves devices used to deliver those drugs. Recently, there was a lot of controversy when Mylan, the manufacturer of the “EpiPen”, increased its price from $103 to $608. In this case, it wasn’t the epinephrine contained in the EpiPen that was at issue, it was the EpiPen device – the FDA has authority over both medications and devices and Mylan had the corner on the EpiPen device – this is what allowed them to increase the price by more than 500%. Drug shortages have been getting less frequent each year for the past 6 years. In 2011, there were 251 drug shortages reported to the U. S. FDA and by 2016, this had fallen to 23 new drug shortages. 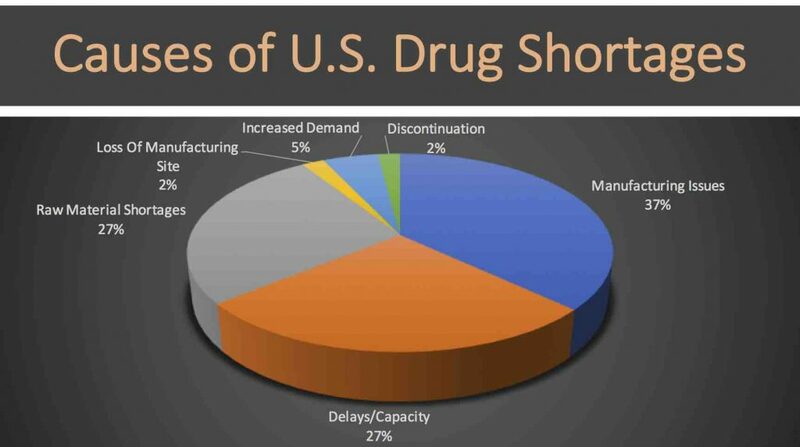 The most common reason for drug shortages relates to manufacturing quality – either problems directly related to the manufacturing process or problems with logistics, such as production delays. One of the factors that has made the United States vulnerable to medication shortages is a smaller number of manufacturers producing low-cost, older generic medications. These drugs are generally less expensive than more newly developed drugs and so there is relatively little margin on them. A 1 mg amp of epinephrine costs about $6 whereas a single pill of the new cystic fibrosis medication, ivacaftor, costs $510 (and it has to be taken twice a day for the rest of a patient’s life!). Therefore, if there is a production problem with a drug like ivacaftor, the manufacturer will be very strongly motivated to put all necessary resources into quickly resuming production or else the company’s stock will drop and the company’s board of trustees will be livid. On the other hand, there is less business pressure if the disruption involves a medication that has only a few cents margin per dose. When a medication becomes too inexpensive, some manufacturers will drop out of the production marketplace, often resulting in only one or two companies making a drug and often making that drug in a single factory. 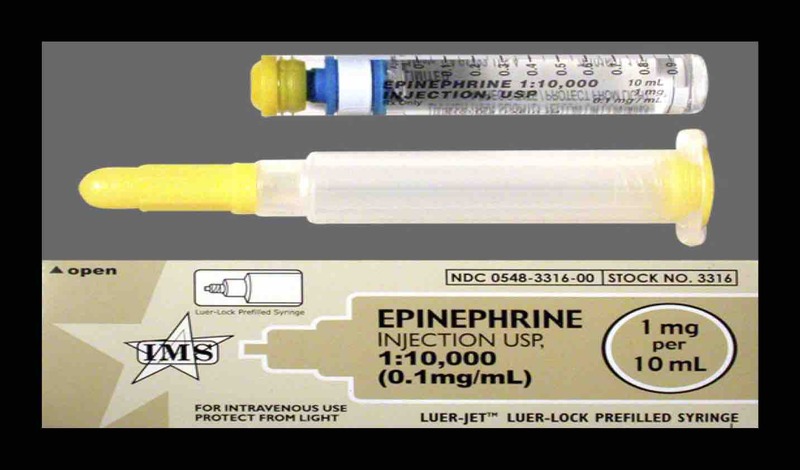 In the case of epinephrine, the main manufacturer of the 1:10,000 pre-filled syringes are Amphastar Pharmaceuticals and Hospira (a subsidiary of Pfizer Pharmaceuticals). On May 10, 2017, Amphastar stopped distributing a different formulation of epinephrine, the 1 mg/ml 30 ml vials. On that same day, Pfizer, stopped distributing their 1 mg/ml epinephrine product. Amphastar experienced production delays for their 1:10,000 syringes due to increased demand and does not project being able to increase production in order to meet demand until October 2017. 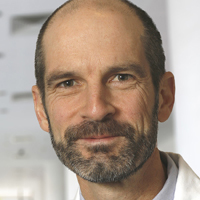 So, what is a hospital to do when facing a shortage of epinephrine? Reduce the number of syringes stocked in hospital crash carts. Many hospitals will keep 5 amps of epinephrine in the crash carts (each contained in its own light-proof box). Consider decreasing this to 3 or even 2 per cart. Remove epinephrine from locations that rarely use it, such as the Pyxis machines on regular nursing units. Utilize the 30 ml multi-dose vials (1 mg/ml) in situations when multiple amps of epinephrine are required (prolonged resuscitation efforts, etc.). Be sure that the pharmacists are well-versed in the bedside mixing of epinephrine (i.e., 1 ml of the multi-dose epinephrine diluted in a syringe with 9 ml of saline). Also be sure that there are labels on hand so that the newly mixed epinephrine can be labeled correctly by the pharmacist. Consider using the more concentrated 1 mg/1 ml (1:1,000) ampules of epinephrine if there are sufficient stocks of this dosing concentration in your hospital but remember to dilute these 1 ml doses into 9 ml of saline prior to injection. Be sure that there are labels for the newly diluted 1:10,000 syringes containing 10 ml total. Check the expiration date on existing stock of epinephrine. When there are drug shortages, the FDA will often approve an extension of expiration dates in order to preserve existing stocks of medications. In the situation with epinephrine, the FDA granted Pfizer a 9-month extension of the expiration dates for most lots of 1:10,000 epinephrine. A complete list is available on-line. Avoid bulk compounding in the pharmacy because epinephrine is susceptible to light, air, and pH, resulting in a short stability when prepared in a regular pharmacy. Because generic drugs are cheap, they are less profitable to make. Therefore, the financial advantage will go to the company that can mass-produce large amounts of the drug as inexpensively as possible. In a free market economy, this often results in fewer manufacturers in the market and results in shortages when one of these manufacturers has production problems. Therefore, drug shortages are here to stay for the foreseeable future.